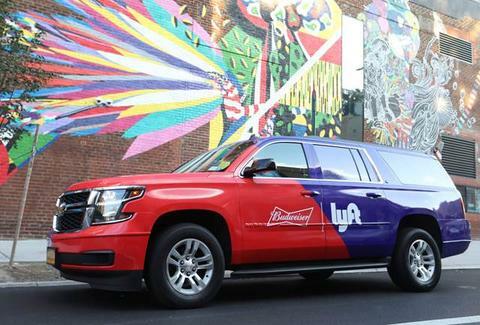 Ride-sharing company Lyft, in partnership with Budweiser, previously announced a creative program to help keep people off the road when they've had too much to drink by offering free rides on weekends. For Halloween, Lyft is expanding that program to help you get where you're headed safely. The program, slated to be active through the holidays, offers free or discounted rides to people late at night on the weekends. Each weekend Lyft and Budweiser post codes to their Twitter and Facebook pages that can be entered into the Lyft app to redeem the rides. The coupon takes up to $10 off the price of a ride. If the ride is $10 or less, it's free. Previously available in New York state, Colorado, Illinois, and Florida, the deal has now officially been extended to Washington D.C. as well. On a standard weekend, codes can be used anytime between 10pm and 1am, Thursday through Sunday. But the codes get gobbled up fast. You have to enter the code into your app as soon as you see it appear, because once they've all been claimed, well, they've all been claimed.